The Medical Village situated in the heart of Riyadh, aims to create a community of wellbeing by promoting a warm and welcoming design that encourages a healing and healthy environment. 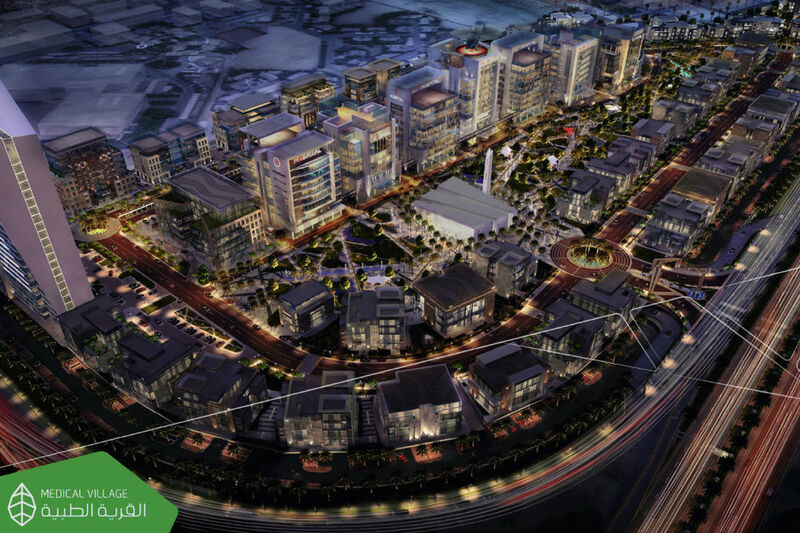 The Master plan encompasses 8 Speciality hospital towers, Education and Research buildings, Office buildings, a Hotel tower, Residential towers, a central park, a central mosque and parking facilities in the basements. TAHPI is the specialist medical planner and Healthcare Architect for the project. 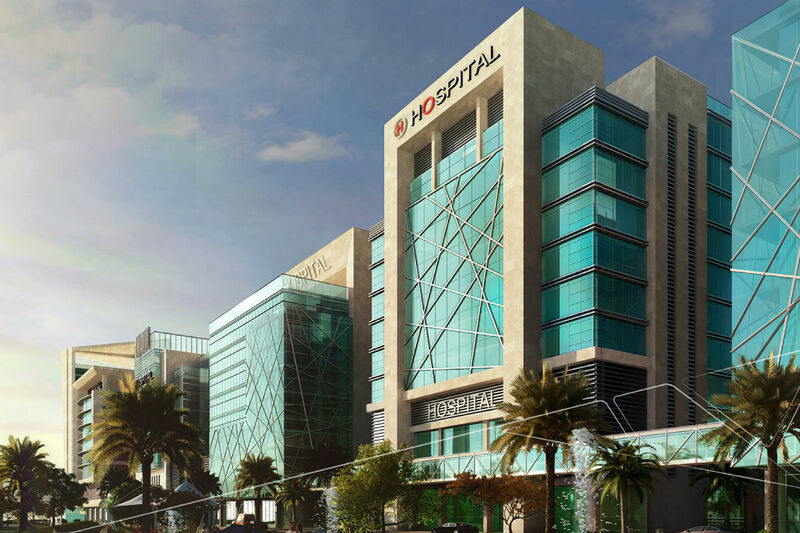 The 8 speciality hospital towers range from 8 to 12 storeys in height and accommodate 120 to 150 beds each. Although each tower is designed to function as a standalone facility, there is an interconnecting corridor tying all the 8 hospitals together which enables specialised services to be shared.